Today is the ten-year anniversary of the first puppet video I ever put online. "Static and Josh" was completed and uploaded in the wee hours of November 25, 2004. It was my second year at Mount Allison University; my friend Josh VanMeerveld and I shot the video in my dorm room with a borrowed digital camera. When I made this video, YouTube didn't exist yet. In those crazy days, if you wanted to put a video on the internet, you had to upload the file itself to your webspace and try to persuade people to download it to their computers in order to watch it. The video and audio quality are poor, and the attempts at "comedy" are just embarrassing. 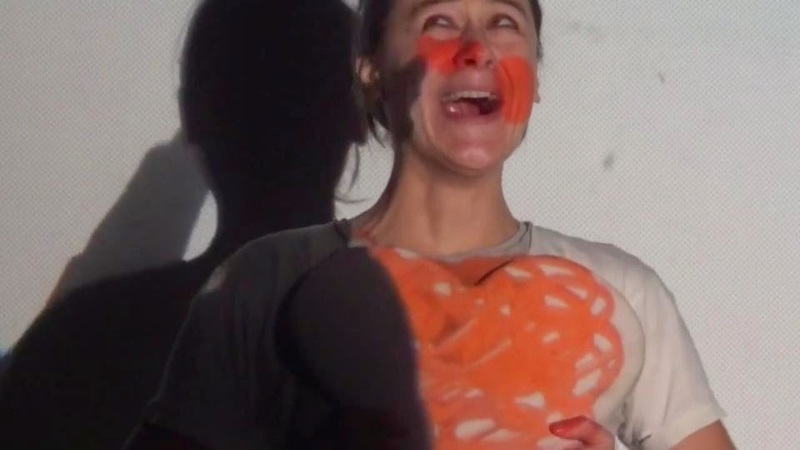 The real point of the video was to use a split-screen effect to hide the puppeteer. We shot the video with me fully visible, crouching behind the music stand. Then, without moving the camera, we shot the music stand with nothing behind it. The bottom left quarter of the screen was then replaced with footage from that second pass. A lot has changed in the last ten years. 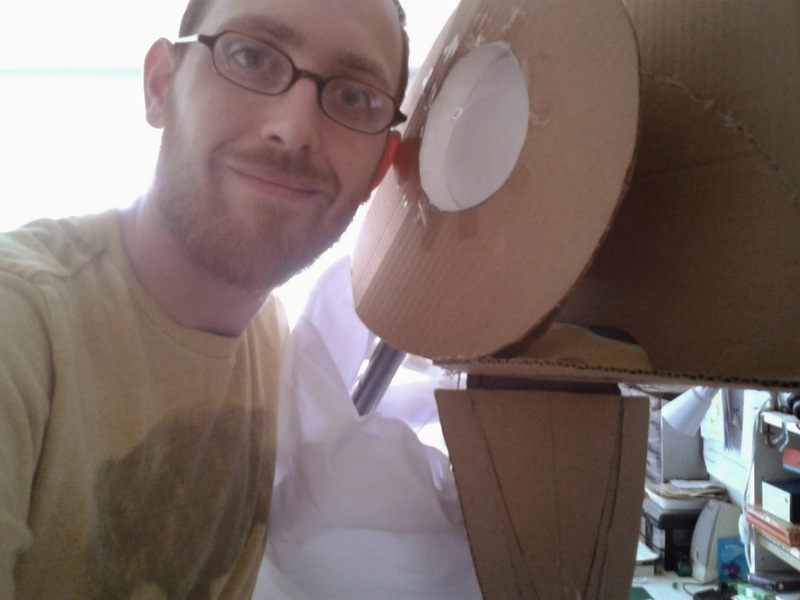 Since this video first went up, I've done over eighty puppet workshops for children, I've studied at Mermaid Theatre, I've met a ton of people in the puppetry community, and I've built more and better puppets and made more and better films. I can't wait to see what the next ten years have in store. By an incredible coincidence, since I hadn't even met her yet, today is also my wife Julie's birthday. In fact, we're on our honeymoon in New York City right now. So if you'll excuse me, I'm going to take her out to dinner. 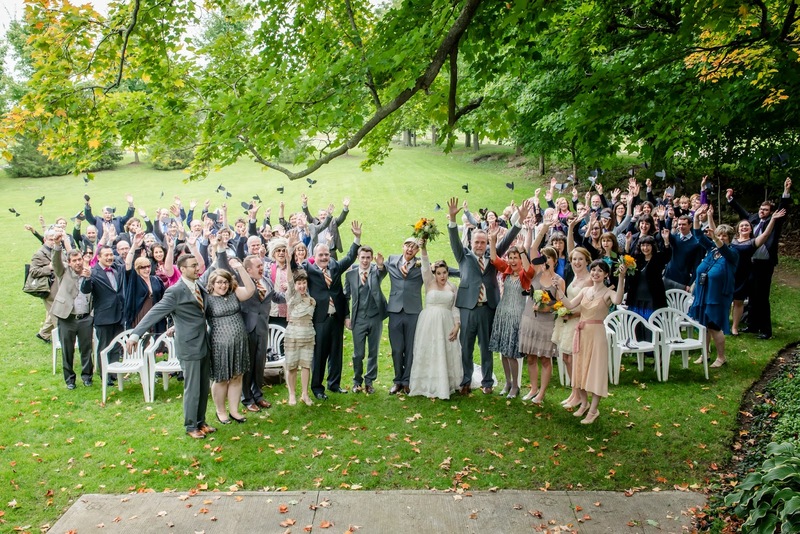 On September 20, 2014, Julie and I tied the knot. 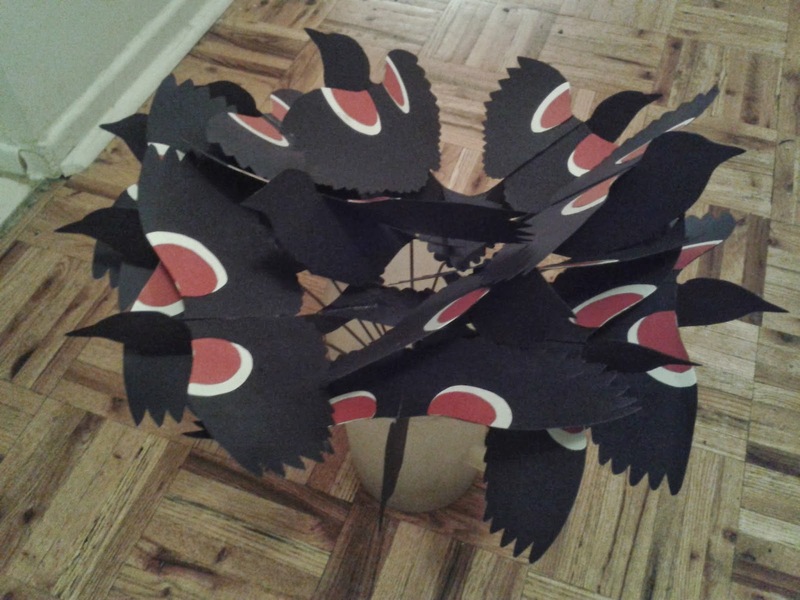 The wedding went beautifully, and the blackbird puppets turned out great. 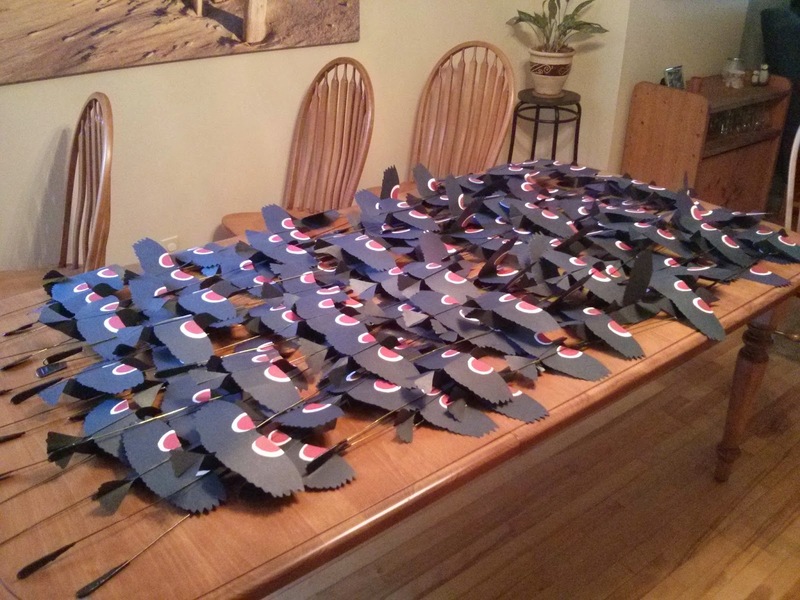 In the end, we made 104 of them, with a lot of help from our friends. A short test of how I'll be able to perform Moss riding on Atlatl's back. The song is "Sunshine" by Matt Costa. Clearly needs a lot of work, but I think it looks pretty neat. 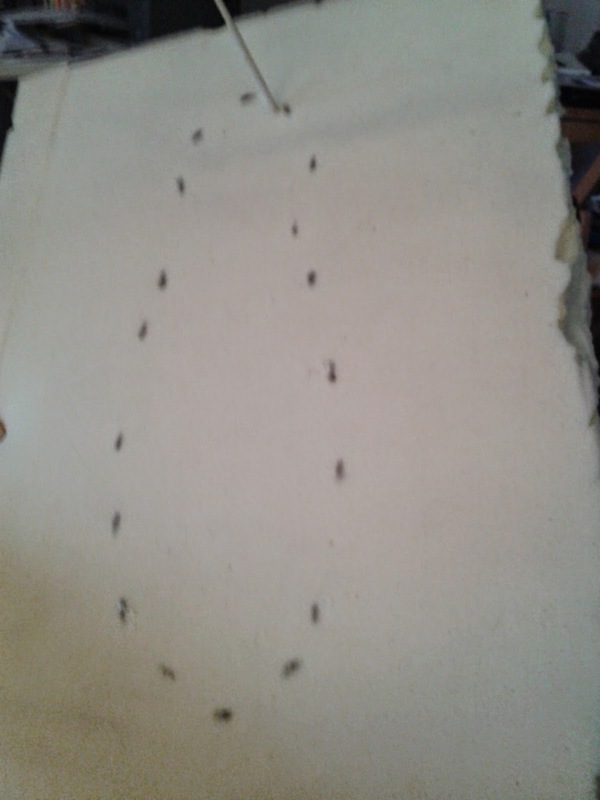 Puppetry projects are on hiatus as wedding preparation kicks into high gear, but here's what Atlatl looks like now, covered in white broadcloth. Most of the work I do on puppet projects ends up being not the work itself, but the work that has to get done in order that I can do the work. 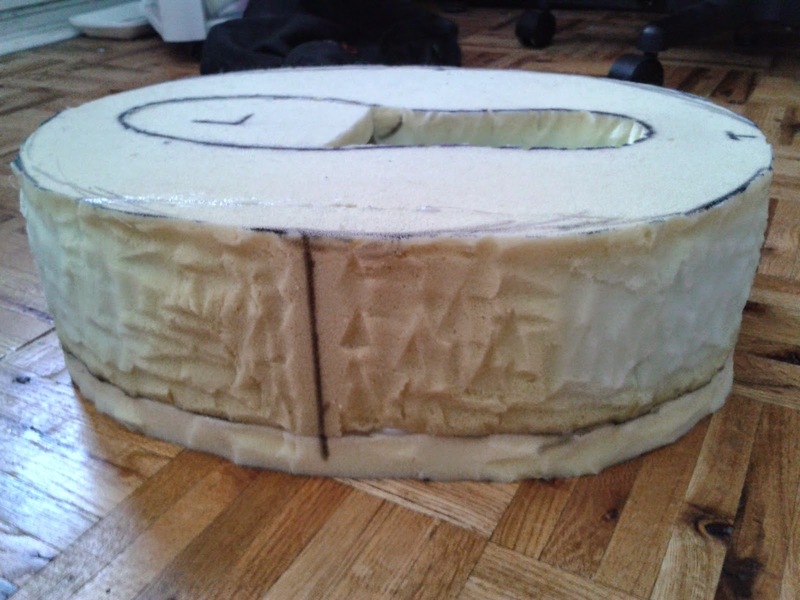 For example: I'm in the process of attaching fabric to Atlatl's body, in a preliminary way. But once again, there's the perennial problem of how to hold the puppet up from the inside while I work on the outside. He's too heavy and complex now for me to use my old camera tripod technique. 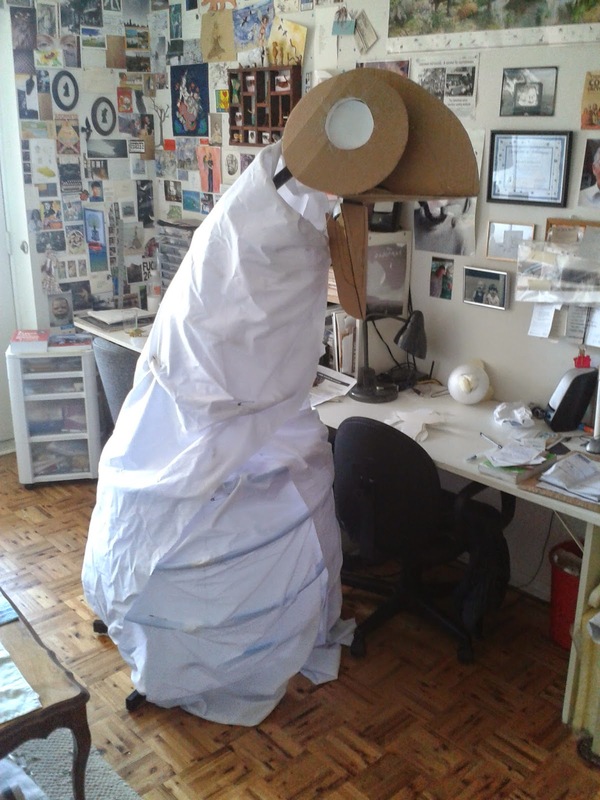 And it's not enough that the puppet is held up, but the neck also has to jut out at a 45-degree angle. Julie managed to talk me out of buying a mannequin. (She's right, we don't have room.) So instead I decided to modify a big metal stand that I'd inherited from my friends Allison and Chris when they moved to the Yukon. 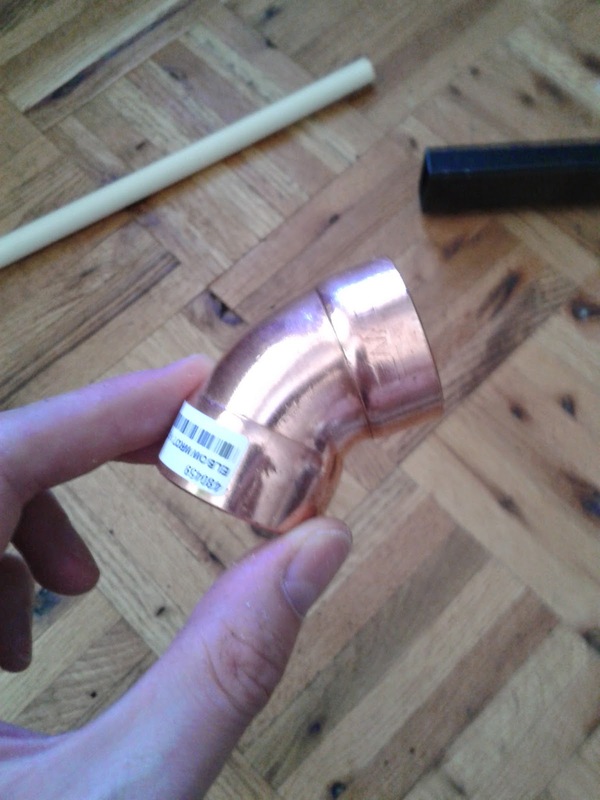 The stand separates into three pieces, so I had to convert the joint between two of the pieces into a 45-degree bend, while still keeping it solid and secure enough to support weight. And the best way to do that would be to support it from both the inside and the outside. 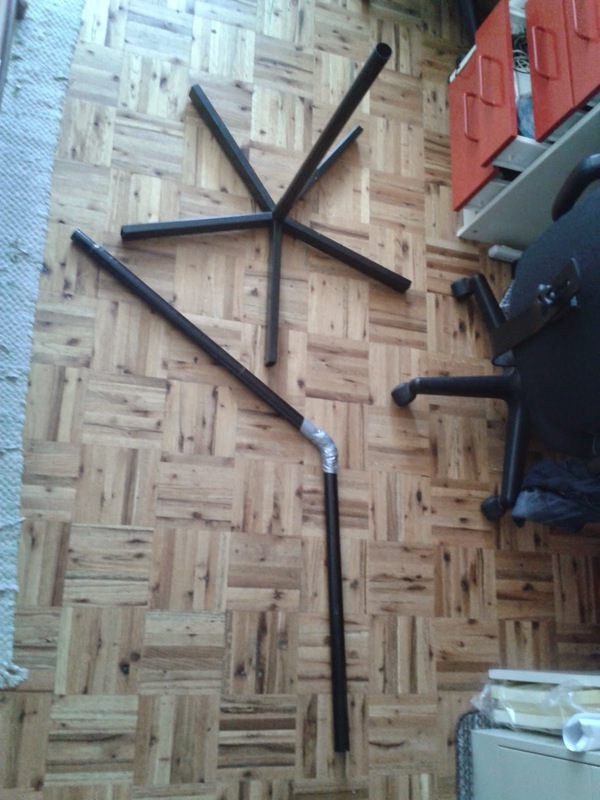 I kept the pipes long so that even without any adhesive, there would be a severe limit on how much the pieces of the stand could wiggle. 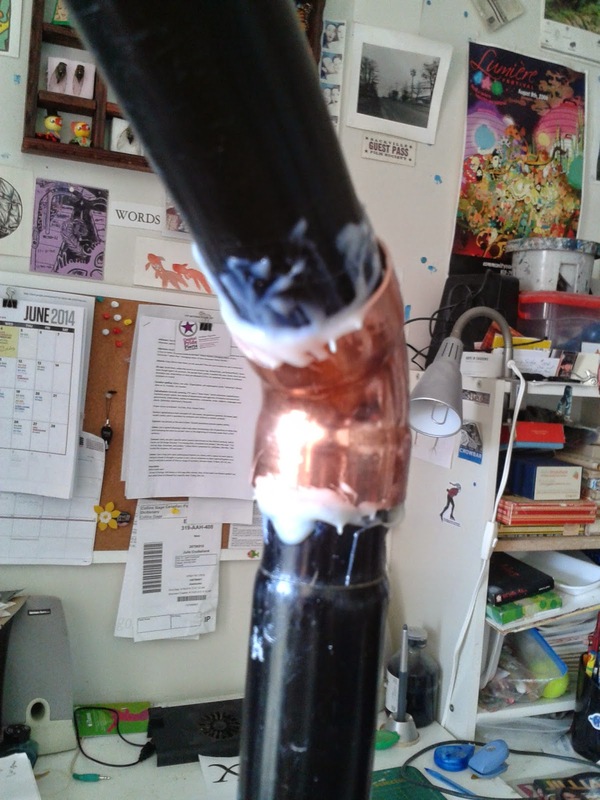 I epoxied everything together at the joint. None of these pieces fit very tightly against each other, so I laid the epoxy on thick, and put most of it on the underside, where gravity would tend to make the pieces touch each other. After I let it dry overnight, the attachment was really solid. 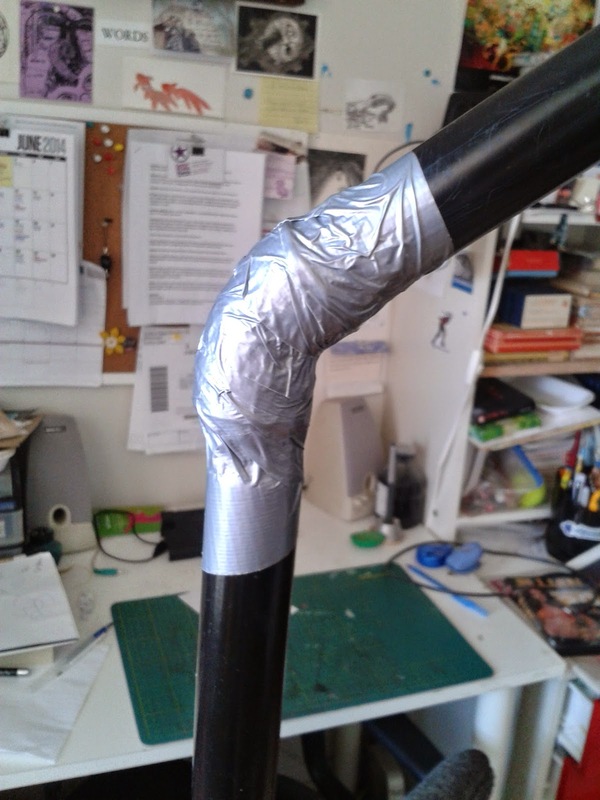 Just to make sure it wouldn't budge, I wrapped the joint tightly in duct tape. And I can't believe how incredibly well it works! 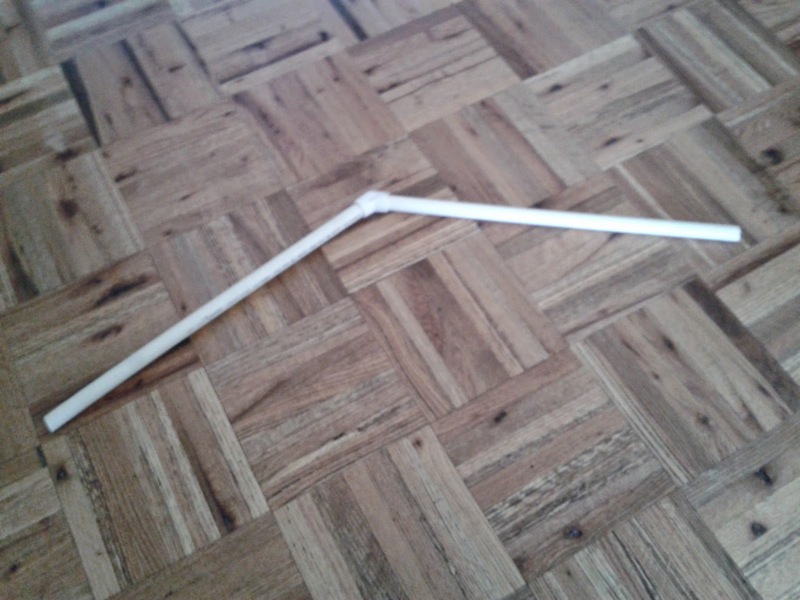 It holds Atlatl up perfectly, freeing up both my hands to attach and adjust the fabric. 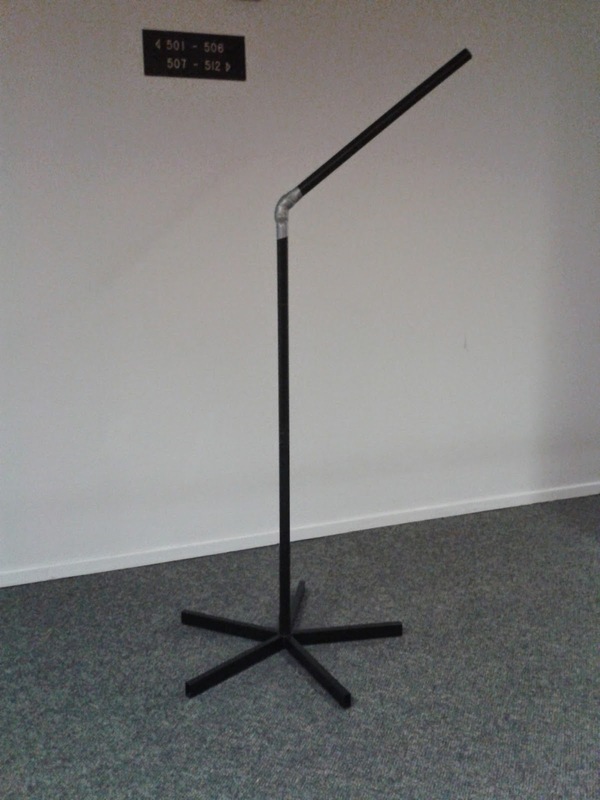 And although one of the stand's attachment points is now permanent, it still separates into two pieces for easy storage. Now that all that work is done... I can start working. Last weekend I went to see a puppet show called Against Gravity at the Ottawa Fringe Festival. 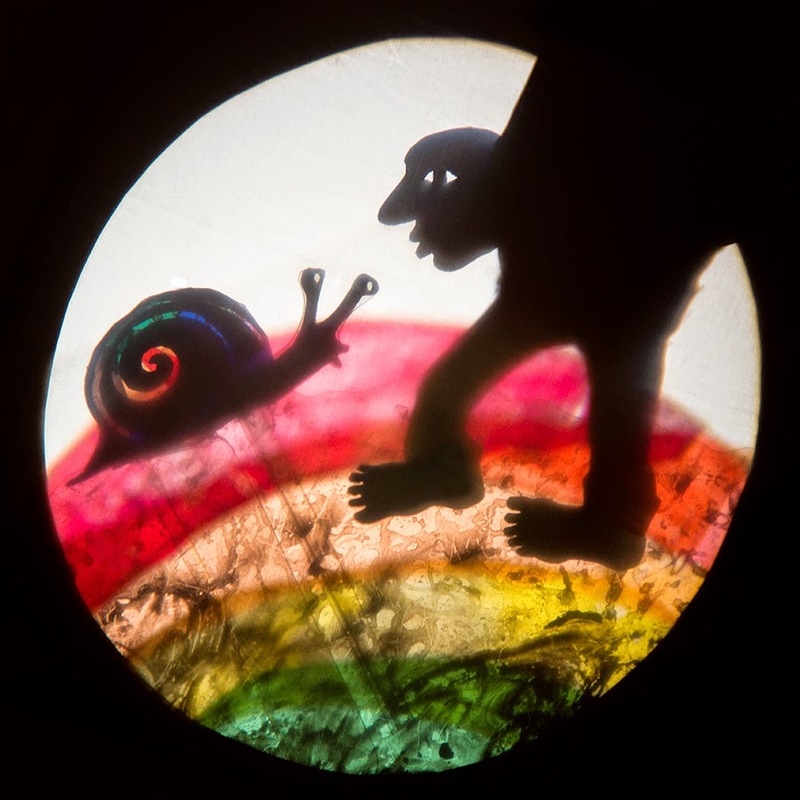 It was created and performed by Mind of a Snail, a shadow puppet troupe from Vancouver consisting of Jessica Gabriel and Chloé Ziner. They'd contacted me before coming to Ottawa, so after the show we hung out as well. 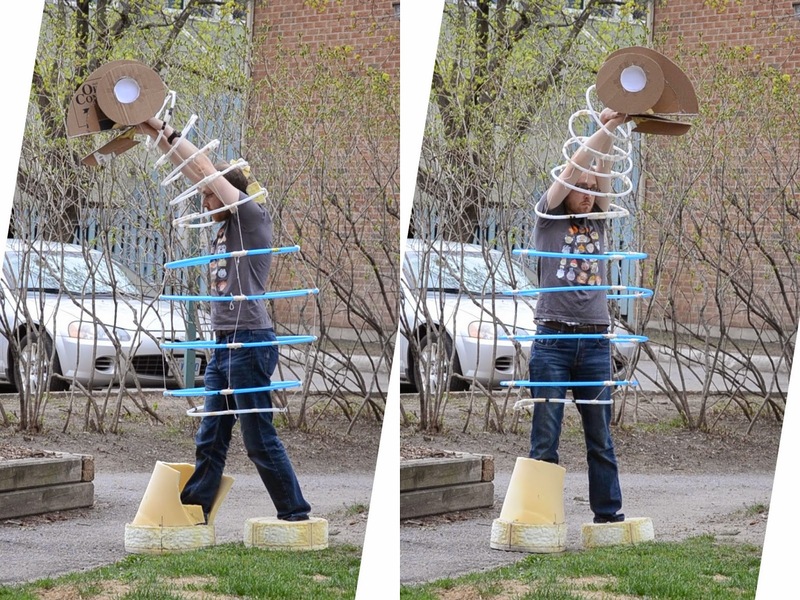 The show was an expanded version of a piece they originally created for a puppet slam. The story itself was pretty loose, more focused on experience than narrative, which is perfect for a medium that has so much potential for wonderful weirdness. 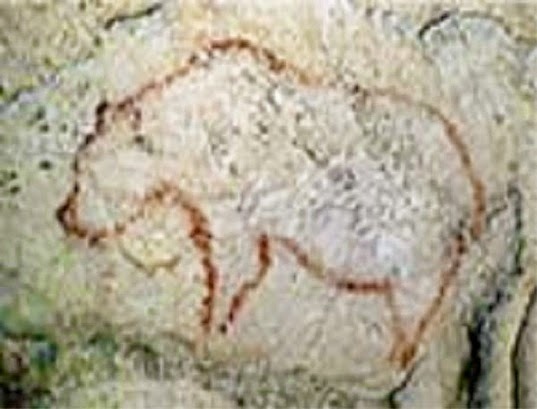 It was generally concerned with the adventures of the human figure pictured above as he(?) literally followed his heart. The journey took him to varied locations, from under the sea, to a decaying urban environment populated by anti-gravity protesters. These ladies are adept with an overhead projector and they pulled off some neat tricks. The first scene involved a backdrop of lace. To transition to the next scene, they slowly pulled the piece of lace downwards, creating the effect of panning upwards, but stopped when it was halfway off screen. The ragged edge of the piece of fabric then became a field of grass, the setting for the next scene. Some other transitions were achieved by physically lifting the backdrop off the projector's base, bringing it closer to the lens and thereby out of focus, and bringing in the next backdrop in the opposite way. My favourite part was close to the end, when Jessica suddenly broke the frame by standing up in front of the screen and becoming a character in the show herself. Chloé then used a transparency and a dry-erase marker to draw "on" her! The effect was like watching a film that combined live-action with animation, except it was happening live on stage. A still from their promo video. Against Gravity was really neat and a lot of fun, and Chloé and Jessica are really cool and fun to hang out with. 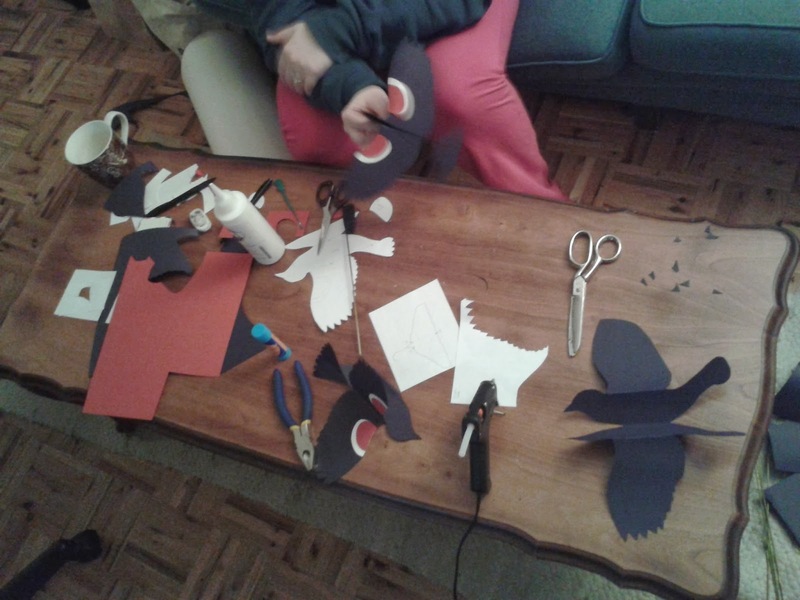 Right now they're putting together a new show about crows, called Caws and Effect. They showed me some photos from the development process, and it looks like it's going to be awesome. Check them out! 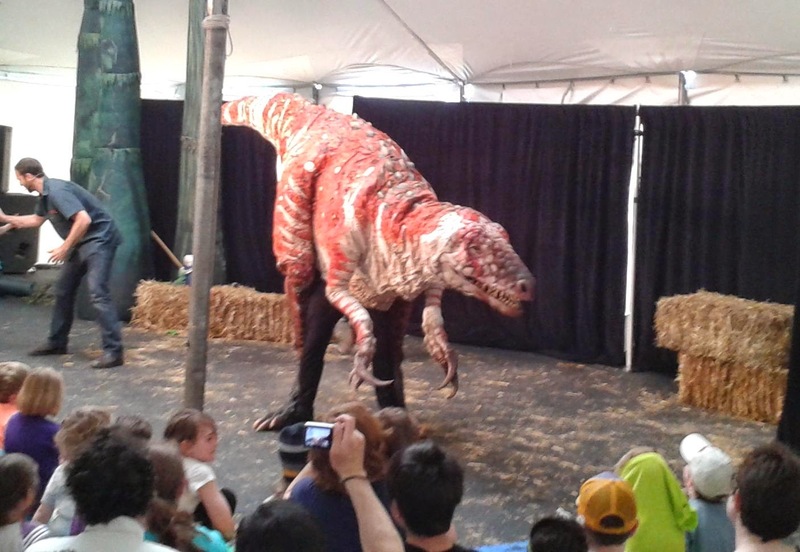 The other day I had the pleasure to see the Australian puppet show ERTH's Dinosaur Zoo at the Ottawa International Children's Festival. I'm extremely interested in dinosaurs as well as puppets (for many years I had ambitions of being a paleontologist) so this show was doubly interesting for me. The host tends to a female Leaellynasaura, while her mate peeks out from behind a curtain. 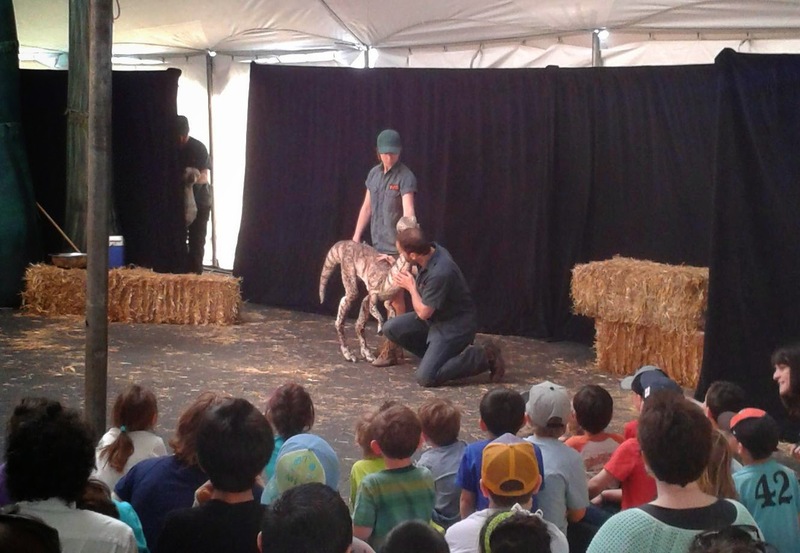 The conceit of the show is that an animal handler is bringing out various Australian dinosaurs to show them to the audience. Unlike the Walking With Dinosaurs arena show (which, they were proud to tell me, ERTH's show predates), it's a small, intimate performance. 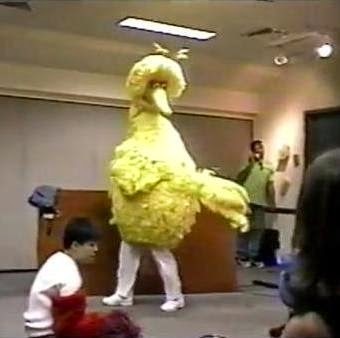 They really sell the idea that these are live animals; at one point, the host brings a child volunteer onstage to help calm a dinosaur while he administers eyedrops, and the puppeteers give the creatures a faked unpredictability that feels very real -- and sometimes scary for the kids. The puppets, built by Bryony Anderson and others, are terrific. The dinosaurs' skin looks like latex but is actually painted fabric, which is much lighter. From a paleontological standpoint, they're extremely accurate -- not a pronated hand to be seen! -- although the Leaellynasaura puppet doesn't reflect the 2009 discovery that its tail was three times as long as the rest of its body. Leaellyn possesses an elegant leg mechanism that the puppeteer operates with one hand. 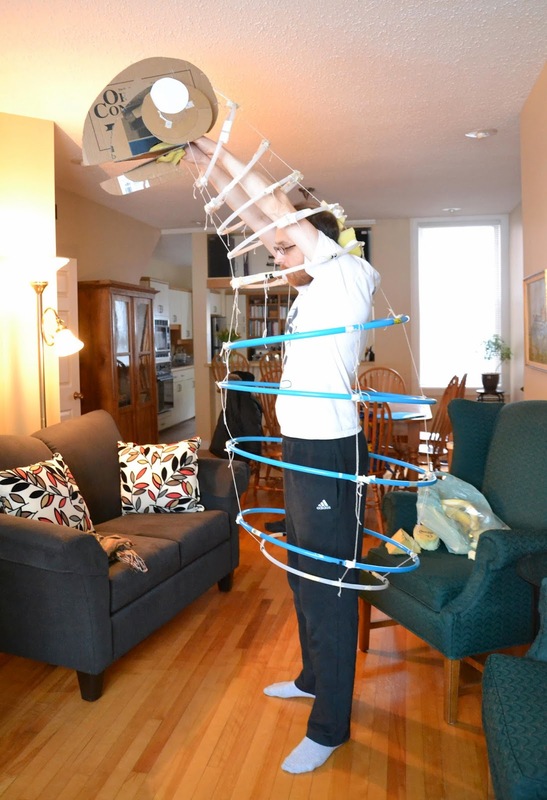 It consists solely of joints, string, and counterweights, and it moves beautifully. 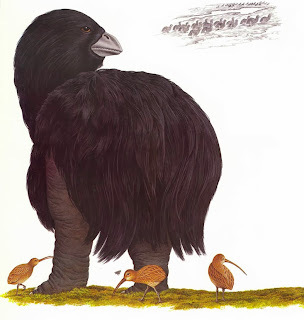 The big showstopper, Australovenator. Puppeteer Miron Gusso is standing at his full height inside the beast. Thanks to their tour manager, Rachael King, I had the opportunity to meet with the three-person cast after the show and talk shop. They were very friendly and encouraging, and emphasized the importance of really building a puppet around the puppeteer's body for maximum comfort, ease of movement, and direct control. Guys, if you're reading this, thanks so much for taking the time to chat with me! 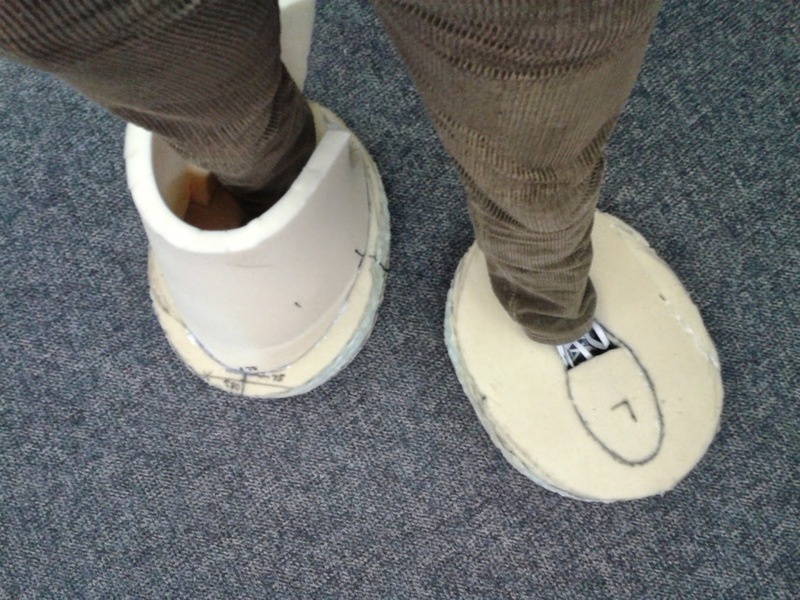 Unfortunately, I'd never made wearable puppet feet before, so I had no idea how to go about it. Mermaid Theatre to the rescue once again! When I was at Animotion, Production Manager Deb MacLean showed me the dinosaur feet from their show When Dinosaurs Dine By Moonlight, and I used these as the basis for Atlatl's feet. 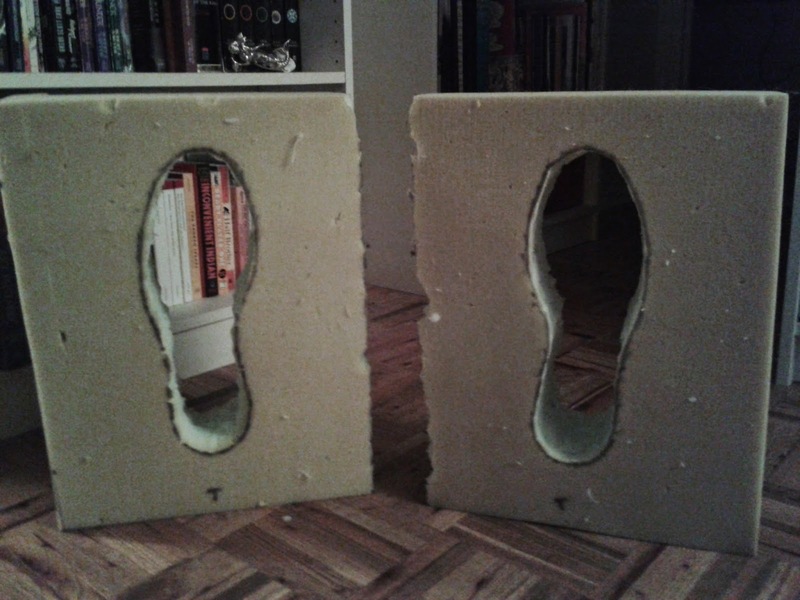 First I traced my own feet (in sneakers) onto two large blocks of thick foam I'd gotten from my friend Nicole. 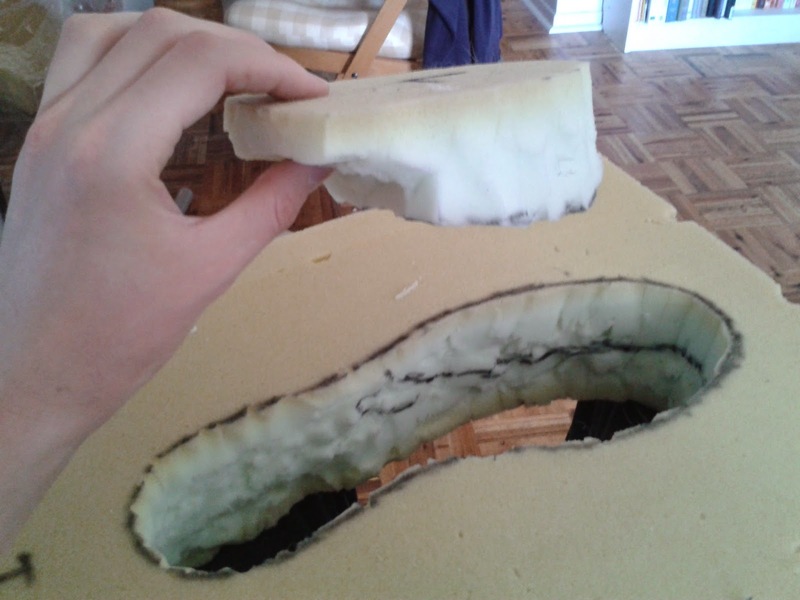 I stuck a bamboo skewer through the foam at various points in the outline so I could reconstruct the same shape on the bottom. -- and trimmed the bottom of it to match that line. I glued it back into where I'd cut it from, and I now had something that would hold my foot in. 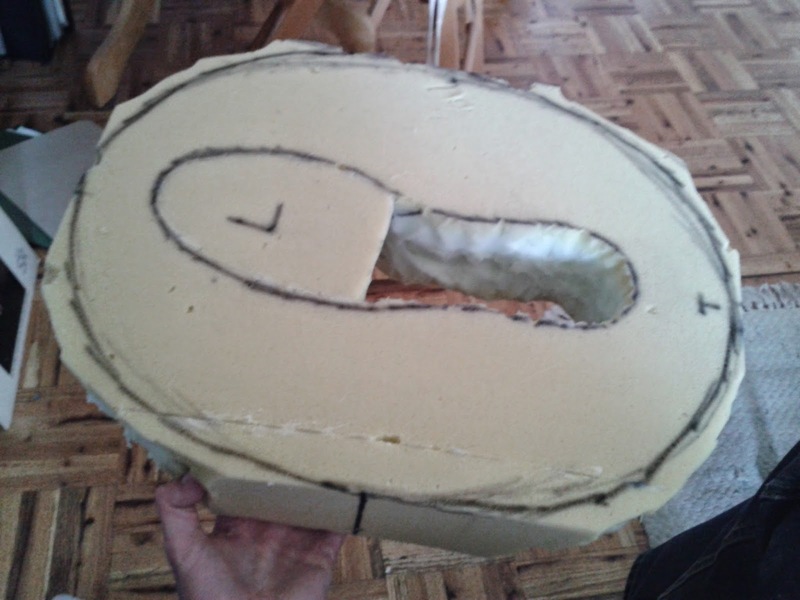 I wasn't sure exactly how big (or precisely what shape) I wanted the foot to be, so I started by drawing the largest oval I could, figuring I could trim it down later. 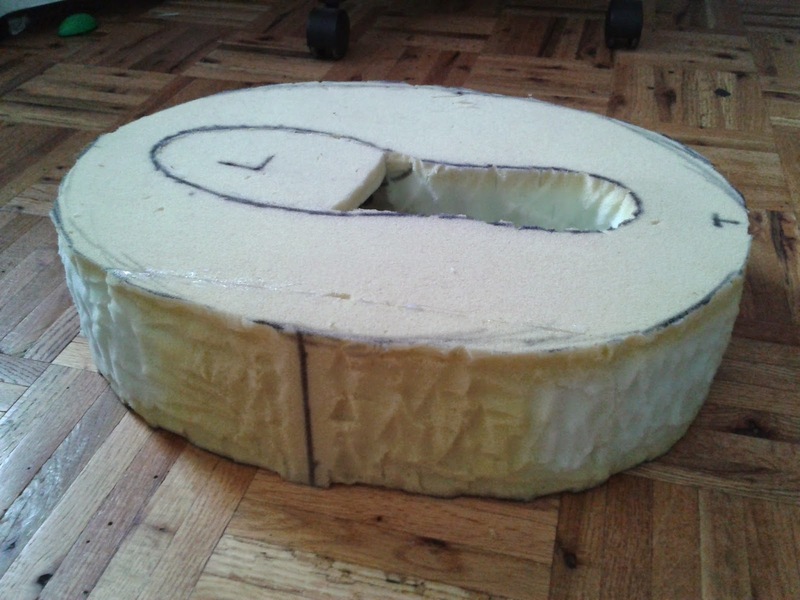 I drew the same oval on the underside, too, and cut off the corners of the block. 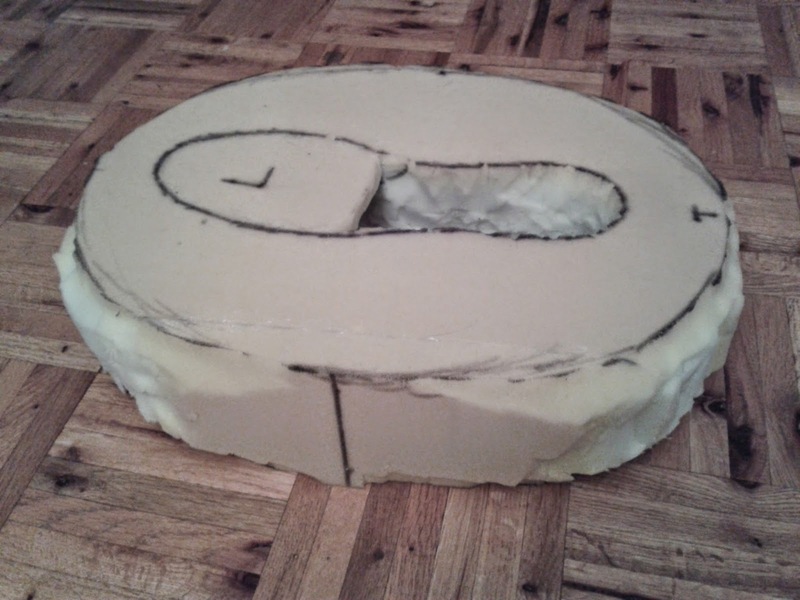 Then I cut along the outline of the oval on the top and bottom. Then I took my scissors and made a zillion tiny little cuts on the sides of the block until it was as smooth and round as I could reasonably get it. 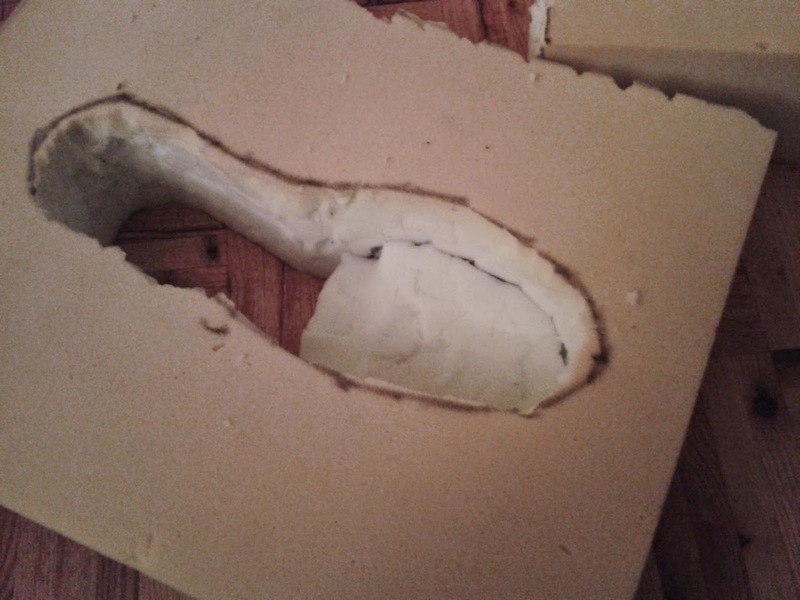 To make the sole, I traced the foot onto a sheet of one-inch foam that my friends Allison and Chris gave me. I cut it out and glued it onto the bottom. I found that because of their size, the only way for the feet to not trip over each other is for me to take big, galumphing steps. I'll have to decide if that's right for the character, or if I want to make the feet skinnier so they can move more easily past each other.